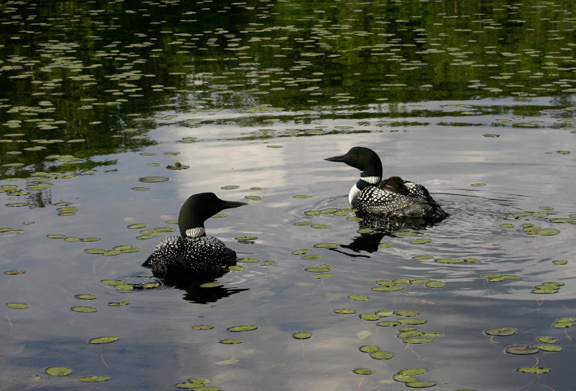 The Pequaywan Lakes Association works to protect the interests of property owners of Big and Little Pequaywan Lakes, contiguous waterways and the surrounding watershed by promoting good lake and water management through testing, education and support. Meetings are held Saturdays from May to September at the Fire Hall. The Association has been in existence more than 60 years. • There is a new walking trail on the township land. Volunteers have been working hard to get the path in shape but you should still watch your step. The path is about a mile in length and generally skirts the edges of the township land. View a map of the trail. • Congratulations for new Association board members elected at the 2018 annual meeting — Mark Johnson, president; Judith Strom, 2nd vice president; Carol Nelson, treasurer; Bonnie Dressen, secretary; Phyllis Mead, Big Lake representative; and Kathy King, Little Lake representative. Bob McDonough continues his term as 1st vice president.